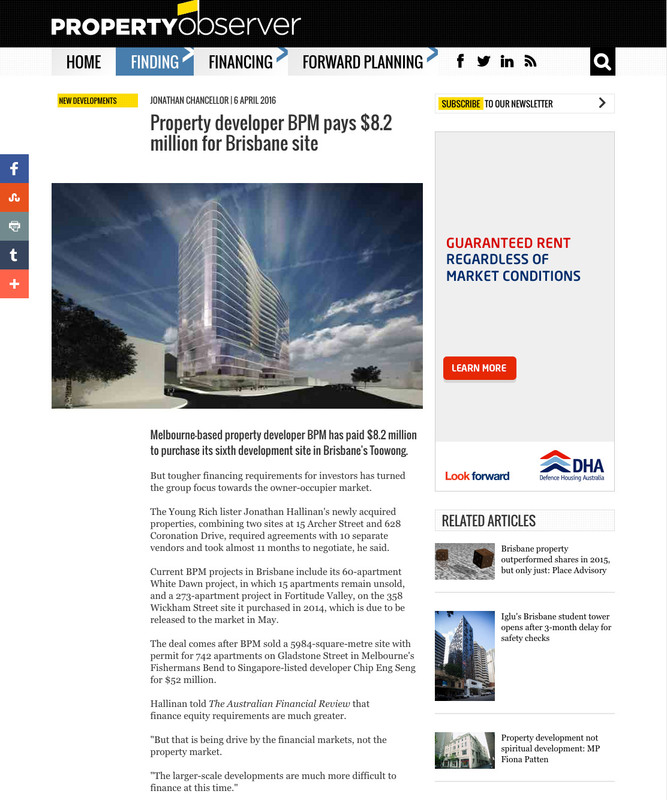 Melbourne-based property developer BPM has paid $8.2 million to purchase its sixth development site in Brisbane's Toowong. But tougher financing requirements for investors has turned the group focus towards the owner-occupier market. The Young Rich lister Jonathan Hallinan's newly acquired properties, combining two sites at 15 Archer Street and 628 Coronation Drive, required agreements with 10 separate vendors and took almost 11 months to negotiate, he said.